The Windsor Craft Beer Festival has always had amazing entertainment to compliment the equally awesome beers available. This year, we feel that entertainment has been kicked up a notch with our best lineup yet, including a Friday fully comprised of bands immersed directly within the crowds. 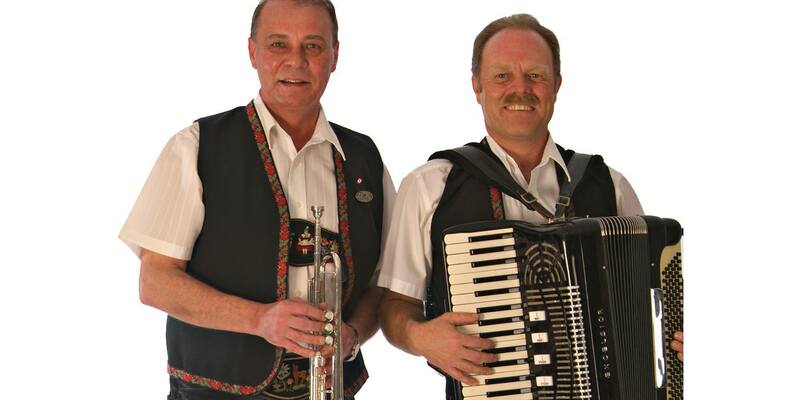 Live German folk duo, Leo and Rick, will make their way through the crowd and make you waltz your way to a beer. Weaving together many international influences, Jefferson St. Parade Band brings bombastic beats & brass to the people. A fully mobile party band, JSPB features an innovative drum line and a rich horn section. And their guitarist and bassist play through custom made Ghostbusters-style portable backpack amps! Their unique combination of virtuosic horn solos, polyrhythm, and face-melting bass and guitar work has the ability to get rockers, toddlers, and seniors up and dancing. This band combines the rich history of New Orleans music with their own unique take on contemporary jazz and funk! The Gabriel Brass Band have been known to make even the stiffest crowd move their feet! This Brass Band honours the rich history of New Orleans music while bringing fun and funk to you live and direct! Spearheaded by fifth generation musician, Dameon Gabriel, with a few Gabriel family members and a host of close friends, they continue the New Orleans flavour that the Gabriel family brought to the Motor City in the 1940’s via New Orleans. The musical Gabriels date back to 1850s New Orleans. This Motor City music family maintains a living connection to New Orleans family members Charlie Gabriel (Preservation Hall Jazz Band) and Louis Ford maintaining roots back home in the Crescent City as we all move musically into the future. The Detroit Party Marching Band (DPMB) is an ever-evolving collective of Detroit area musicians devoted to unanticipated revelry, driving jams, and the power of the unamplified horn blast. DPMB believes the essence of music is celebration and joy, and deploys music without warning to celebrate life and community in & around the dear city of Detroit. Inspired by the street bands and wandering parades of HONK! Festivals and NOLA’s Mardi Gras, the unregimented group plays a wide mix of driving songs from Balkan Brass to Indie Rock with dashes of Techno and Pop covers mixed in. DPMB doesn’t differentiate between performance space and public space, but rather seeks to blur the line between musician and audience. Whenever possible, they play at eye-level with the audience, and always encourage you to join the party, interrupting your regularly-scheduled life with spontaneous moments of raucous musical joy. DPMB has played nationally and internationally at festivals including HONK!, PRONK!, Cross-Linx, Laneway, Mardi Gras, as well as countless parades and venues around the country. DPMB is also the host of Crash Detroit, a festival of street bands that takes place each July in Detroit, MI. What do you get when you cross traditional Mariachi music with punk rock snarl and attitude? The answer: Pancho Villa’s Skull. Pancho Villa’s Skull was started by Tino Ybarra in 2011. While growing up in Pontiac, Michigan, Tino developed a love from Mariachi music through his grandfather on his mother’s side who, sang and played trumpet. He also, spent time in south Texas with his paternal grandfather who took him across the border to Mexico from time to time so, he could know where he came from. As, he got older he started playing in punk and ska bands around Detroit yet, he wanted to feel more connected to his roots. Inspired by bands like Gogol Bordello and The Pogues, both of whom looked into their own pasts to create something new, he decided to create what he calls Mariachi punk and started Pancho Villa’s Skull. At the beginning of 2016 his brother Rolando Ybarra joined the band to play percussion and added to the sound heavily. Blues. Rock. Hip-hop. This might be Trey Priest at the core, but there’s always more. Influenced by all styles of music, the 28 year old MC/Guitarist from Detroit actively performs as a solo artist and lead guitarist with fellow Detroit bands ONEFREQ and The NLR Experience. His talents have granted him the opportunity to open up for world-renowned artists Erykah Badu, Gregory Porter, Hiatus Kaiyote and many more. A collaboration of both Windsor and Detroit musicians; local acts feature Datsunn (formerly known as Soul Brother Stef) and Zillie Holiday who have partnered with Detroit artists: Munch, Nuntheless, Bhuti and Jacob Sigman. This ensemble forms the collective known as Raresounds. Spanning various genres of Hip hop, Funk, Soul and more, they draw inspiration from their surroundings and celebrate the camaraderie between two neighbouring cities. The unique sounds consist of sample-based music, live instrumentation including drums, bass and piano, singing and rapping.